The Hard Sell is giving away their album The Hard Sell in return for donations to Bristol OSCAR plus others via I Give You Give! To celebrate the album's 25th anniversary we've released it on a download to donate basis with all of the funds again going to charity. Track 1: Reborn - Possession (The Song) J Browne / C Stewart / N Robbins Produced and remixed by Reborn Engineered by Russell Kearney at The Coach House Track 2: 0272 - I Need You Here Ian Dark / Robinski / Nick Warren Engineered By Robinski Track 3: The Federation - Life So Free Si John - artist; Julie Lockart Engineered by Si John, Production JAS (Party Rockin Productions) Track 4: B.B.P. and Free Da Spirit - Life So Free Watkins / Wilson / Swaby Produced by: Andy Watkins & Paul Wilson Track 5: Sister Redz - Next To You (Closer To Heaven) L Smith Leonie - vocals, Engineered by - Tim Laws, Production - Short & Curly Track 6: Tricky - Nothing's Clear Produced and mixed by Tricky Kid, Geoff Barrow Engineered by Russ Kearney Track 7: Language - Tranquility Bass Written and produced by Language. Engineered & Mixed by The Prophet Track 8: Sean Oliver - Furious Fire (Massive Attack + Jeremy Allom Reconstruction) Track 9: Intime - Second Sight Davidge / Fuller Track 10: D. Rez - Bring Out The Sound D. Rez DJ TCT - cuts, Dee# - keys, Rich Magee - bass Track 11: UK Chapter - Bring Out The Sound UK Chapter Claire Waller - vocals, Laura 'B' - flute, Dedicated to the memory of Theresa Donelan Track 12: Tru Funk - You Drive Me (Crazy) J. Wisternoff, D Kausman Produced by Tru Funk + Smith N'Mighty Track 13: 3PM - Manifestation MC Kelz, Krissy Kriss Mixed & Produced by Smith N' Mighty Track 14: Mark Stewart/Tony Wrafter - Loyalty Is Valuable M. Stewart, T Wrafter Tony Wrafter - sax, Basil Anderson - piano, Clere Berarey - guitar, Jim Barr - bass, Mark Stewart - vocals Artwork – Dream Productions Compiled By – Dom Phillips, John Mitchell (7), Sara Tacchi Edited By – Russell Kearney Mastered By – Noel Summerville Photography By – Jim Jones (12) Originally Released On - Earth Recordings (Pete Wright and Mark) The original album was a fundraiser for O.S.C.A.R. and Airspace. Airspace no longer exist and so we are sharing your donations between O.S.C.A.R. and the Southmead Project. You can see details of both of these charities in the sections below. 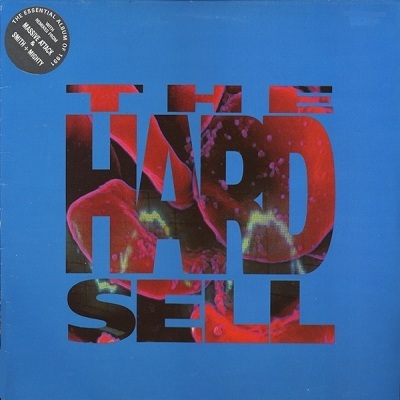 ‘The Hard Sell’ was a charity compilation for O.S.C.A.R. and Airspace and featured some of the 1991 Bristol scene’s emerging and groundbreaking artists. With Jeremy Allom, Jim Barr (Get the Blessing & Portishead), Geoff Barrow (Portishead), Neil Davidge , Si John (Roni Size & Reprazent), Daniel Kausman (DJ Die), Julie Lockart, Massive Attack, Smith & Mighty, Mark Stewart (The Pop Group), Kelvin Swaby (The Heavy), Tricky, Nick Warren & Jody Wisternoff (Way Out West) and Andy Watkins and Paul Wilson (wrote and produced the Spice Girls first two albums) being amongst the contributors the album offers a great insight into the Bristol Sound of 1991. Bristol OSCAR was founded in 1984 to raise awareness of Sickle Cell and Thalassaemia in Bristol and surrounding areas. The Bristol Sickle Cell & Thalassaemia Centre was established in July 1991 as a base for counselling, information and educational resources on Sickle Cell & Thalassaemia disorders. The centre is committed to working in partnership with local authorities to improve the quality of life of sufferers and and their carers.